With prized essential lines, the gold earrings of the Modus Auri line stand out for their aesthetics that combine the filigree crafting technique, performed in an innovative experimental manner, with the fine dangling links enriched with small semi-precious stones. 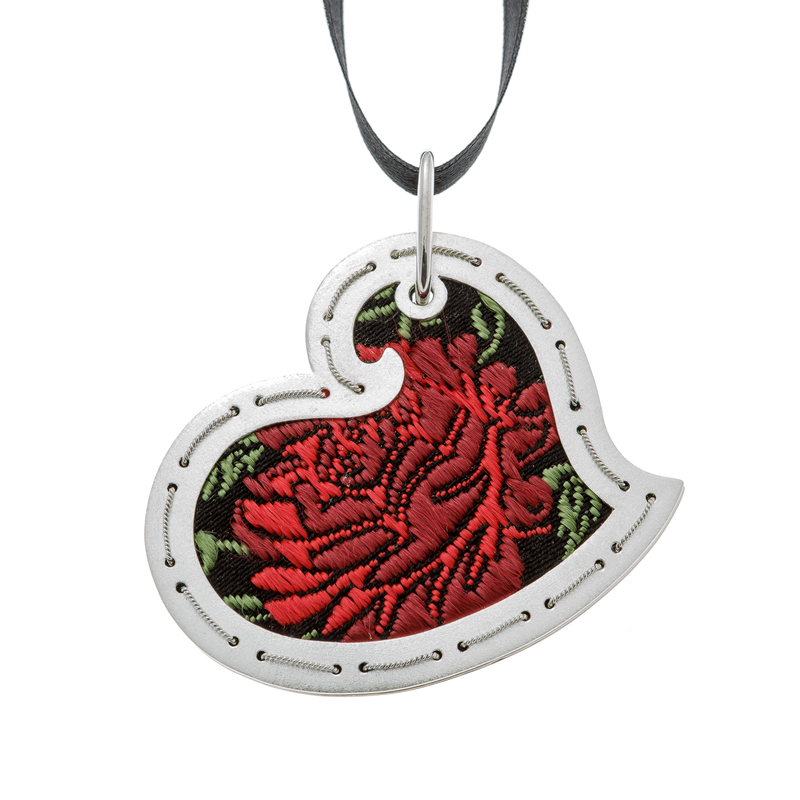 This prized silver and brocade pendant is inspired by the Agnusdei, a religious votive ornament, significantly revisiting the symbolic meanings through the fine filigree thread that sews together two brocade hearts, so as to seal invaluable ties. These earrings of the Modus Auri line are characterised by the sensitive reference to the local tradition in the addition of a small delicate rattle pendant with a clear apotropaic value, elegantly composed using filigree work performed with innovative and experimental technique. The old terracotta spool, used to roll up the thread, becomes jewel, turning into a sophisticated pendant/earring. 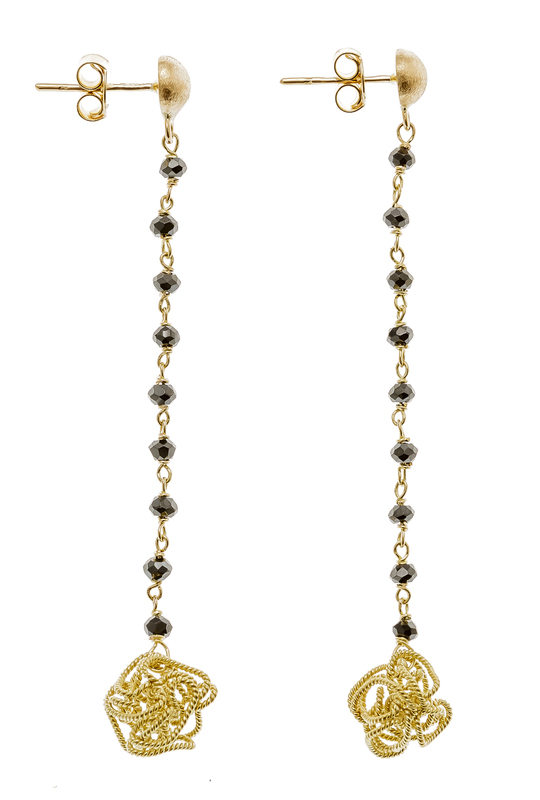 Created as object of local identity connected to the textile Sardinian culture, it is part of the "IS" project, available in yellow gold or silver. 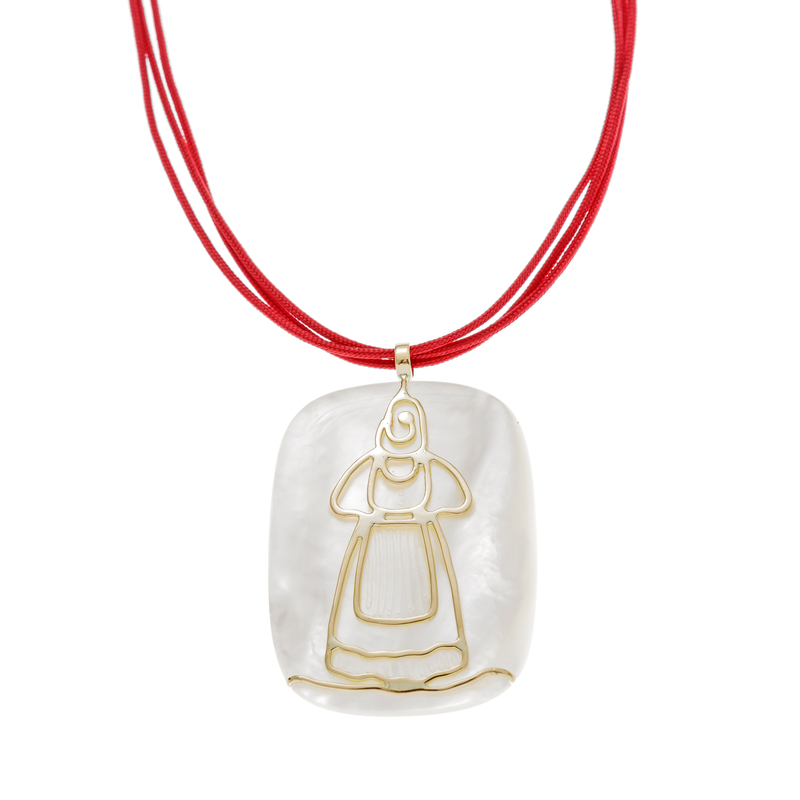 The prized mother-of-pearl pendant stylishly depicts the female figure wearing the traditional local costume, whose silhouette is wisely sketched using a single golden thread. In the city centre of Nuoro, in a small elegant jeweller's workshop, Alessandra Mascia and Maurizio Secchi have been carring out their craft and business for twenty years, creating precious pieces of art, resulting in a combination of traditional technical skills and top-level goldsmithry. The workshop hosts rigor and method. A diploma at the Istituto d’Arte di Nuoro, and years of apprenticeship at highly qualified jeweller's workshops in Nuoro and Alghero, for Maurizio. Pursuing their dream to become a reference point of local goldsmith's art, they integrate Sardinian culture with new and original techniques and materials to give shape to their artistic visions. Each jewel has its own story, the result of a long design phase, the result of the expertise of the two professionals who can transform gold, silver, precious stones and fabrics into unique pieces of art, with great skill and dedication. By using ancient crafting techniques, in the workshop unique jewels are crafted by hand. 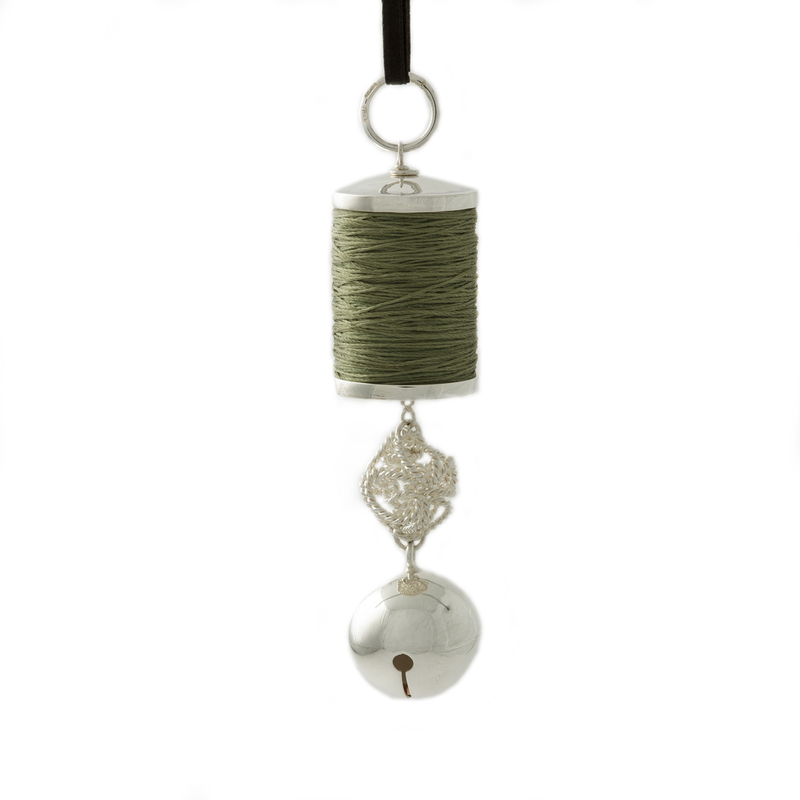 A major project promoted by Sardegna Ricerche enjoys fruitful results: the Modus Auri collection, studied to promote the art of filigree-making, is the result of Maurizio's skillful intepretation of the idea conceived by architect and designer Angelo Mangiarotti; the IS project pays tribute to the art of weaving with a collection of pendants shaped in the forms of spools, looms and tamburines, created in collaboration with the only silkworm farmer of Orgosolo, Maria Corda, and Nuoro-based artist Michela Cicalò. The main techniques performed in the workshop are: filigree, embossing, fretworking, hammering, engraving, all adapted to the playful fantasy and variety of styles and designs proposed as a reinterpretation of Sardinian culture.